The latest entrant from Marvel Studios, Avengers: Infinity War, has posted the highest first day box office collection in India by far this year with its gross box office collections of Rs 40.13 crore. The latest entrant from Marvel Studios, Avengers: Infinity War, has posted the highest first day box office collection in India by far this year with its gross box office collections of Rs 40.13 crore. The net box office collections of the film, which released in India on Friday, stand at Rs 31.3 crore. Analysts had earlier predicted that the film will earn around Rs 20 crore on its first day. 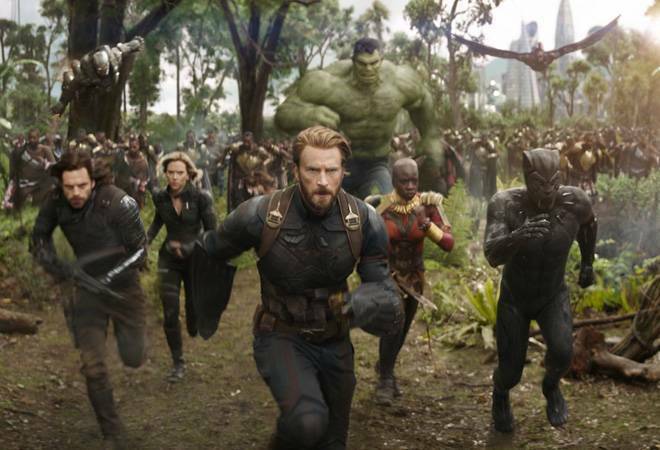 According to the makers, the film, which boasts of the largest gathering of superheroes, registered the biggest day one opening ever for a Hollywood movie in India. "Avengers: Infinity War is on its way to become a cinematic milestone. The euphoria and the reactions from fans across has been stupendous and this is just the beginning," Bikram Duggal, Executive Director & Head Studios and CMO, Disney India, said in a statement. Trade expert Taran Adarsh said in a tweet that the numbers posted Avengers: Infinity War are an eye-opener. "East. West. North. South... It's #AvengersInfinityWar wave across the country... Fri Rs 31.30 cr. India biz NettBOC... GrossBOC: Rs 40.13 cr... Sets a NEW BENCHMARK for Hollywood films in India... #Avengers #InfinityWar," he said in another tweet. Directed by Joe and Anthony Russo, the film saw the superheroes battle it out against supervillain Thanos, who hopes to possess all the Infinity Stones in order to restore balance in the universe. 'Avengers: Infinity War' stars Robert Downey Jr, Chris Evans, Mark Ruffalo, Scarlett Johansson, Chris Hemsworth, Anthony Mackie, Paul Bettany, Elizabeth Olsen, Chadwick Boseman, Sebastian Stan, Don Cheadle, Chris Pratt, Dave Bautista, Zoe Saldana, Pom Klementieff, Benedict Cumberbatch, Benedict Wong, Tom Holland, among others.